Heidi Schreck's "What the Constitution Means to Me" moving to Broadway; "Frozen" gets a female Olaf. 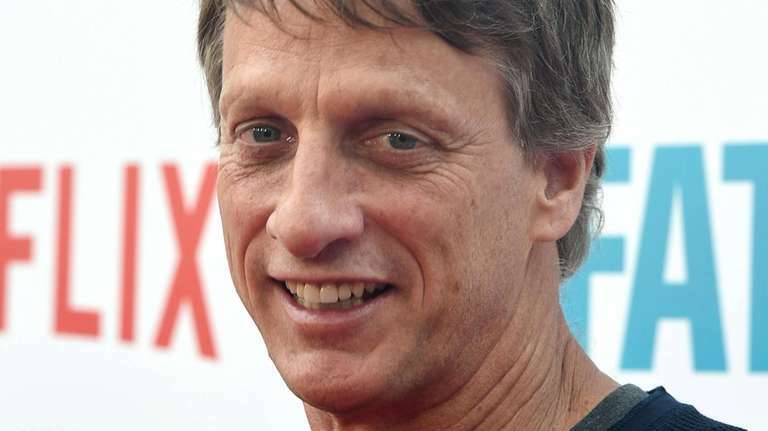 THE DEAL Professional skateboarder Tony Hawk will serve as a producer and “skate choreographer” for “Slam,” a new musical based on Nick Hornby’s 2007 coming-of-age novel of the same name, in which Hawk will be a character. The musical will feature a book by Kyle Jarrow (“SpongeBob SquarePants”) and songs by film composer and Devo co-founder Mark Mothersbaugh. “Slam” observes a 17-year-old skateboarder who has imagined conversations with Hawk. THE SHOW "What the Constitution Means to Me"
THE DEAL The freewheeling and politically charged monologue written and performed by Heidi Schreck, in which she revisits her teenage hobby of delivering speeches about the U.S. Constitution at American Legion halls, will play a limited run at Broadway’s Helen Hayes Theater following an extended Off-Broadway run that originated at New York Theatre Workshop. “Telling these stories night after night has been a revelatory experience for me,” Schreck said in a statement. “People stay after every show to share their own stories with me, stories about this country, about their parents and grandparents, and about the incredible perseverance of the women in their families.” The show begins previews March 14 and opens March 31. THE DEAL The role of the happy snowman Olaf, currently played by Greg Hildreth, will be assumed by Ryann Redmond beginning Feb. 19, marking the first time that Olaf has been played by a woman in any production of the musical. Disney also announced that leading ladies Caissie Levy and Patti Murin, who play sisters Elsa and Anna, respectively, have extended their contracts with the Broadway show. THE DEAL On Monday at 9.p.m., the live mobile game show will welcome Brandon Victor Dixon and Tinashe, the stars of Fox's Jan. 27 presentation "Rent: Live" for a special musical-themed game. Players who correctly answer all 12 questions will be eligible for a shot at the grand prize — free rent for a year. Apple users can play on their iPhone, iPad or iPod Touch; the show, hosted by Scott Rogowsky, is also available on Apple TV and on Android phones. Newsday staff writer Daniel Bubbeo contributed to this story.